13 Aug Marshall Hinds, South Africa distributors for Tyvek® from DuPont™, are proud to announce the availability of the Tyvek® range of Air Cargo Covers in the South African market. These high-performance covers are another product in the range of protective membranes that Marshall Hinds have been associated with for the past 65 years. The Tyvek® Cargo Covers protect food, pharmaceuticals and other perishables from temperature damage during transport, especially the effects of damaging solar radiation. Tyvek® Air Cargo Covers significantly curtail the risk of high temperatures and provide a high level of passive thermal protection from solar radiation during airport apron handling procedures. “Solar-gain effects can easily send the temperature of exposed pallets soaring”, explains Mr Yves le Minor, Key Account Manager at DuPont. “Products and produce are often exposed unintentionally to intense sunshine conditions for long periods especially during loading and unloading operations. This can result in damaging temperature excursions”. fluctuating air temperature scenarios typically found in air cargo logistics. Made from low conductivity Tyvek® fabric, the covers operate through a combination of three complementary operating mechanisms: the white micro-fibre exterior surface of the covers provides a highly reflective barrier to external solar gain, the metallised inner surface presents a ‘low-e’ emissivity barrier to help maintain core package temperatures and the material’s inherent vapour permeability controls harmful condensation. The result is a unique, state-of-the-art protective envelope. When developing the covers DuPont also assessed the risks and failure modes associated with different cover materials in a wide range of ‘extreme case’ scenarios. 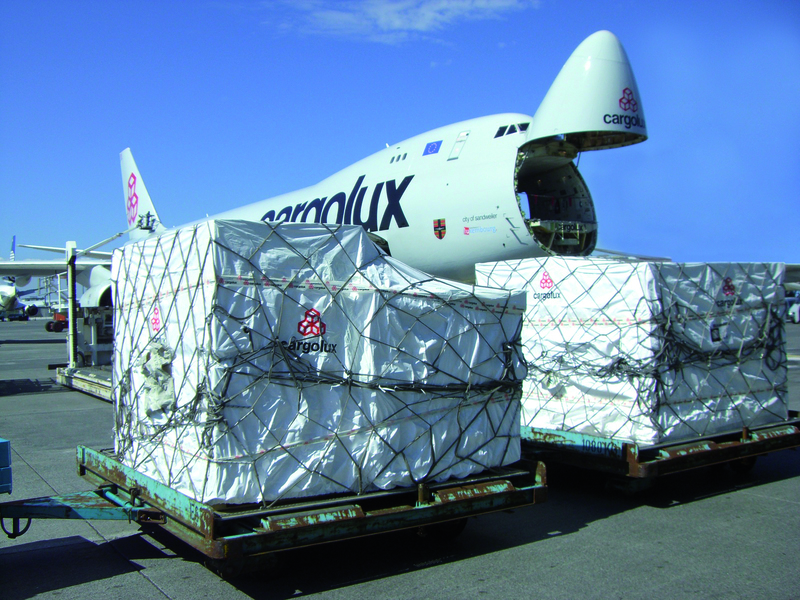 The results endorsed research and trials from elsewhere which had shown that when it comes to critical temperature excursions in air-cargo handling the biggest cause relates to over-exposure to the sun rather than to extremes of ambient temperature. The DuPont findings also verified the fact that certain materials and products in common usage for pharma temperature control actually serve to increase the effect of temperature gains during transport, often to unexpectedly dangerous levels. Compared to insulated thermal blankets, Tyvek® Air Cargo Covers also exhibit favourable cooling properties – a valuable time-saver in situations where products must be pre-cooled or need to cool down after unwanted exposure to heat. 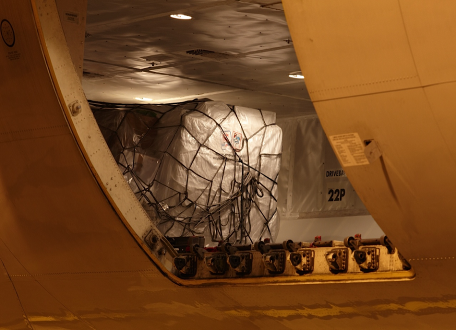 Superior temperature control characteristics are not the only advantages of using Tyvek® Air Cargo Covers. They are very strong, tear-resistant, flame retardant, low-bulk and light in weight. Full weather protection is another benefit and they provide security against tampering and a highly effective barrier against air-borne contamination such as dust, pollen and bird droppings. 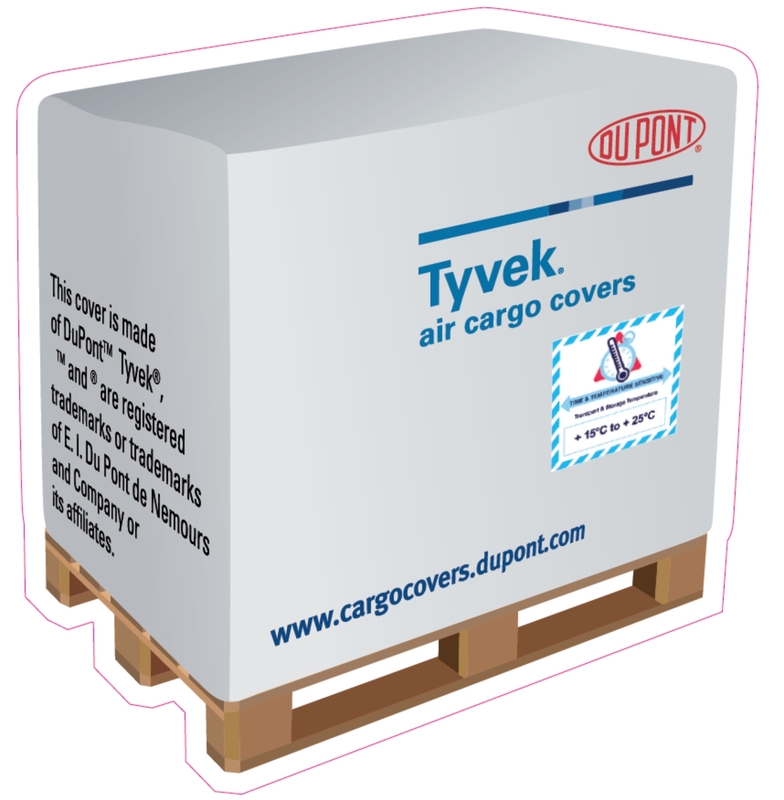 Tyvek® covers are available for the majority of standard air freight pallet sizes and are very quick to install and remove. A typical pallet or ULD can be protective-sleeved in as little as two minutes.